Falls Lake Antiques - Pottery, Glass, Procelain, Lighting, etc. Pottery, Glass, Porcelain, Lighting, etc. Pottery, Glass, Procelain, Lighting, etc. A small sampling of our inventory is featured below. 21" Tall x 17" Wide. .
Rare model. Fully serviced and working. Circa 1890. Model B Corinthian pattern white moonstone font with green base and Aladdin shade. Model B Corinthian pink moonstone. Very Rare Pattern. Circa 1888-1890. Art pottery - Jugtown, Hull, Weller, Roseville, etc. 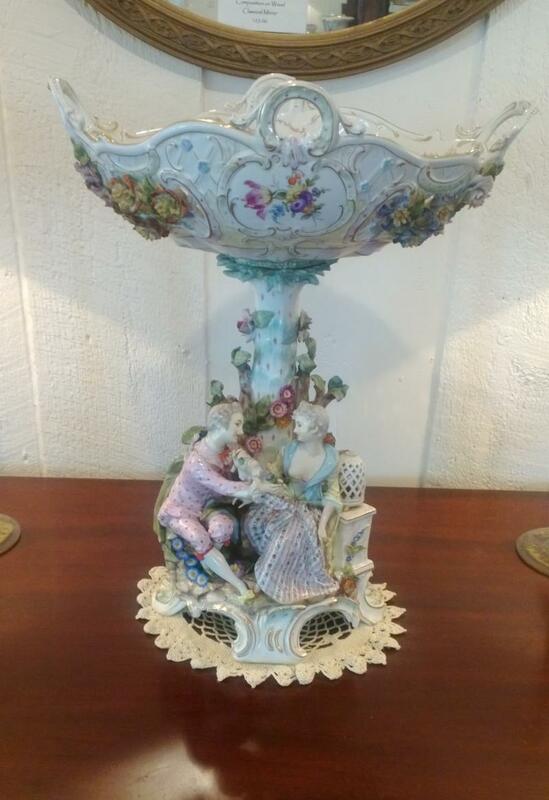 Porcelain - Nippon, Dresden, Limoges, etc. Hawkes Crystal, Westmoreland, L.G.Wright Daisy & Button. Copyright 2012 Falls Lake Antiques. All rights reserved.